Have been thinking of Hawaii quite a bit lately. It is just too hot and humid here, how nice it would be to enjoy a more mild climate. I'm sure when winter arrives, I'll be feeling the same. 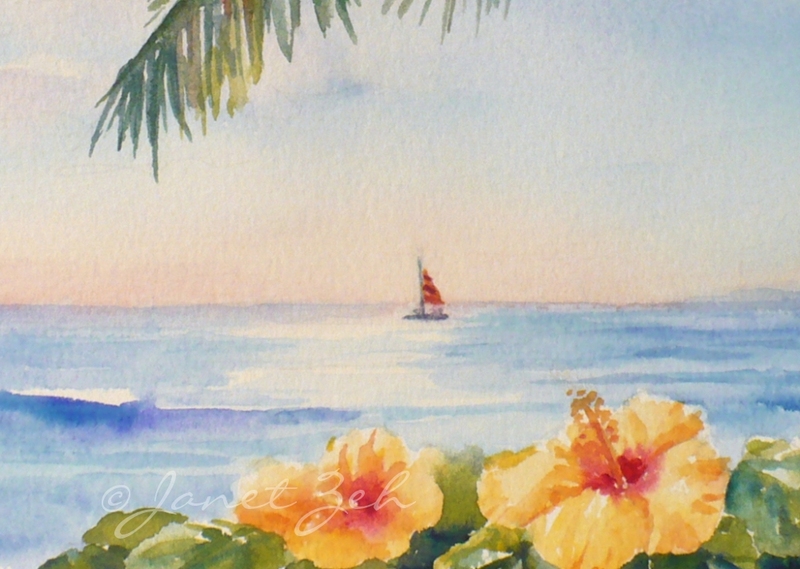 So, I decided to paint this scene of a sailboat breezing along the south shore of Oahu. 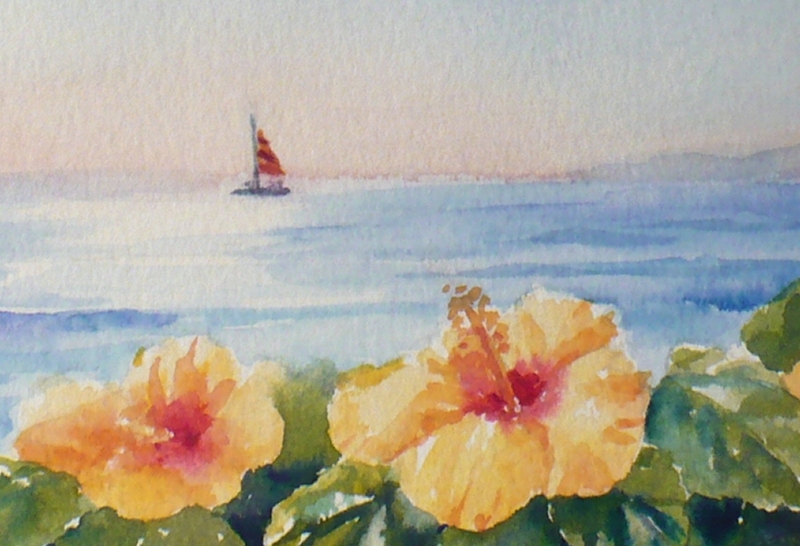 I've added Hawaii's state flower, the yellow hibiscus to the foreground. Ah, it almost makes me feel like I'm there! 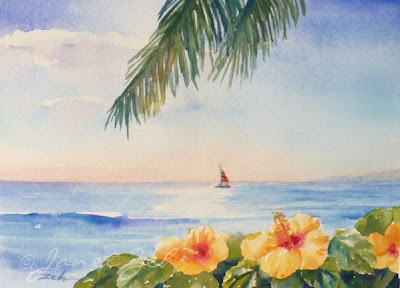 This watercolor is sold, but I can paint one just for you or have a print made. Contact me and I'll be happy to help!